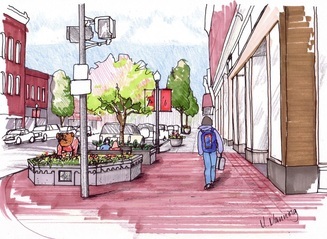 Manning Design offers streetscape design services, as a team member or lead, to municipalities in Michigan. "Marlies is detail oriented, professional, knowledgeable, and guess what?... great to work with!!! That combination equals success and satisfaction!"